The Summer of 1981 was a hit! Tuesday was the First Day of Summer (using capital letters to give the Day the respect it deserves). I shall forever associate summer with joy and happiness because of youthful carefree, fun times. 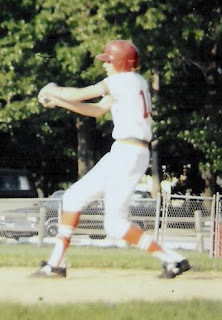 In the Summer of 1981, my baseball team went 11-1 and won 1st place. I got 10 hits in 30 at bats. Even as a working stiff in a comfortable desk job, when I think of Summer, I think joy. Looking forward to a weekend of carefree and fun, if the Lord allows. Now I am measuring memories in decades, not years. But that's OK in light of eternity. Thank you for thinking me worthy. :-) I love you, too.